Bhubaneswar: The fact that cancer can be defeated with a positive attitude, will power and courage was once again reiterated on the occasion of World Cancer Day on Monday. 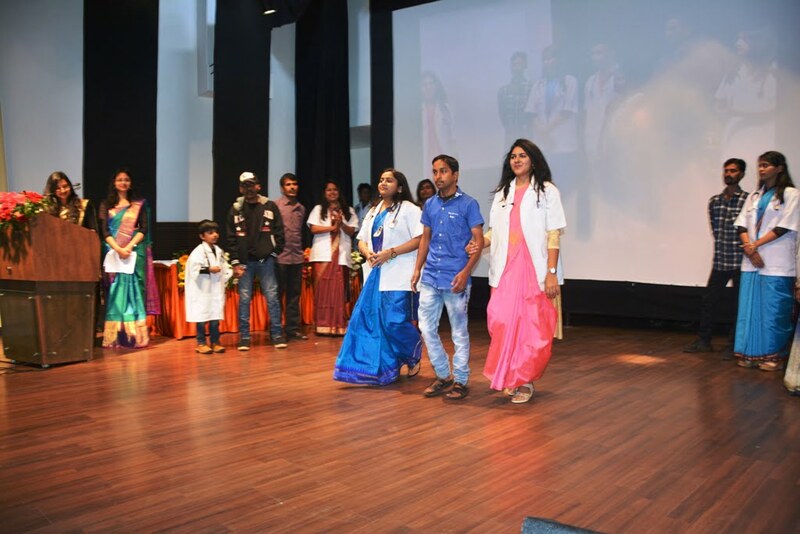 Survivors narrated their battle with the disease at a programme organized to mark the occasion at the Institute of Medical Sciences and SUM Hospital, faculty of medical sciences of SOA (Deemed to be University). Ollywood actor Anu Choudhury, noted psychoneurobic expert and a cancer survivor himself, Dr B.K. Chandrasekhar and oncologists addressed the gathering. “There was a time when detection of cancer was taken to be a death warrant. But things have changed with the advancement of science,” said Anu Choudhury. Narrating his story, Dr Chandrasekhar said two surgeries did not help him but in turn led to Hepatitis-C infection and liver cirrhosis. “While undergoing treatment, I understood that it was not me but my body, which had the disease,” he said, adding that he had found that positive energy could keep a person healthy. Prof. Gangadhar Sahu, Dean of IMS and SUM Hospital, said in the present age, no disease could be seen as a threat but the need was to take preventive measures. “Most cancers are genetic and family history is important. Regular screenings can help and the good news is that a preventive vaccine is now available to ensure protection from cervical cancer,” he said. Early detection and treatment is the key to defeat cancer, Dr Sahu said. Surgical Oncologist Dr Sunil Agrawala focused on the emotional fallout in a family when a member was detected with cancer. D. Amitav Jena, Head of Surgical Oncology, Dr Soumya S. Panda, Dr Sourav Mishra and Dr Pritish of Medical Oncology also addressed the gathering.